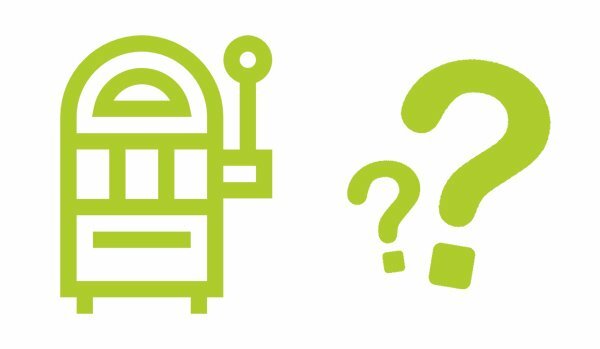 Jump to: WHAT IS A PROGRESSIVE JACKPOT? • BEST PROGRESSIVE JACKPOT GAMES • INCREASE YOUR CHANCES OF WINNING BIG • HOW MUCH CAN YOU WIN? Of all the online slot machine games, there’s one that attracts players like no other, the progressive jackpot. These games can see jackpots raise to millions of pounds, and when that happens, the world’s gaming community takes notice. With so many progressive jackpot games online, there’s going to be variations in quality, with some games frequently paying out big money, and others just sucking in players’ quarters. The size of the jackpots ranges from less than £100, to millions, and the prize available depends on the specific game you choose. 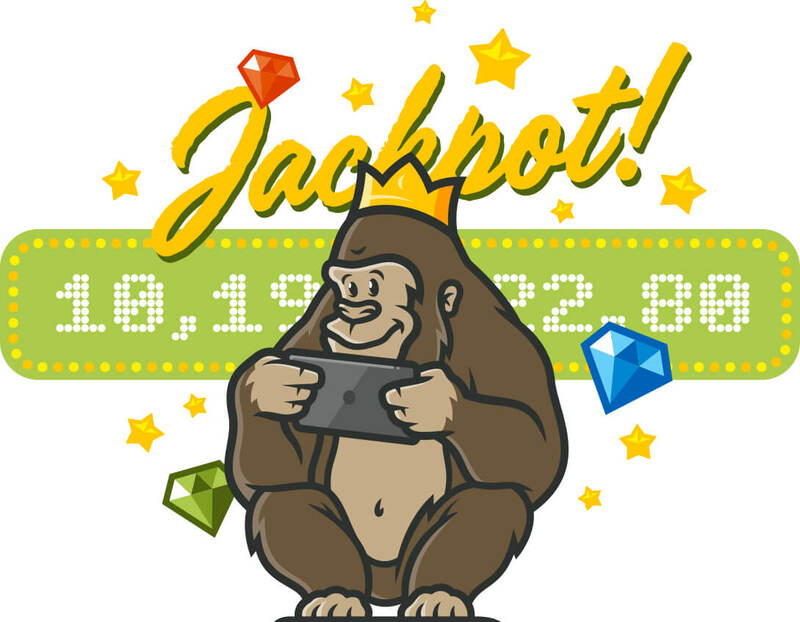 Here at Casino Gorilla, we take online slots seriously, which is why we’ve tested more progressive games than just about anybody, and we’re about to show you how to find the biggest jackpots available and, more importantly, how to stand the best chance of winning. On this page we will track the biggest progressive jackpots almost real time! Every casino player loves the opportunity to hit the jackpot, that’s the dream that keeps them coming back for more. Every online casino slot game will have a jackpot of its own, although these can vary hugely depending on the game itself. Slot games are one of the biggest attractions at any casino – whether that casino is land-based or online. No skill is required, just the ability to choose the best game for you and then a bit of luck when you start to spin those wheels. For a standard online slot game, the jackpot will consist of a line of 5 of the highest value symbols along a winning payline. Take the example of Starburst, one of NetEnts most popular and enduring online slot games. The maximum jackpot available here is £50,000, which is certainly not to be sneezed at. However, while a regular slot game like this has a fixed maximum jackpot, when you play on progressive jackpots the sky is the limit. Progressive jackpot slot games are similar to traditional slot machines, except that the jackpot is not fixed, but instead grows progressively larger. Theoretically there is no upper limit to how big the jackpot can be, as they depend on player contributions to progressively increase the pot. Many jackpot slot games will start with a minimum jackpot amount, to ensure that there will always be a tempting prize to play for. For example, the top jackpot of the massive progressive jackpot slot Mega Moolah is always set at a minimum of £1 million and will only increase from there. Often, the contributions are shared through several games, meaning the jackpot can increase rapidly even if not many people are playing that particular game. When somebody ins that jackpot, all the money from the pot will be sent over to the player’s account. At this point the game’s jackpot is re-set to its minimum amount once again, although it won’t stay at that level for long. There is a huge range of online slot games available today, with themes spanning movies, food, animals, mythology, music, and many more. Online progressive jackpot slots are different from the classic physical casino slots many people are used to, which can catch people out if they’re playing online for the first time. Apart from the themes and styles of the games, there are technical differences that should be taken into account when getting started with online slots. All games are not created equal, and each of them are designed to return a certain amount to the player. This RTP (return to player) is usually set at between 94% and 98% and those few percentage points can make a big difference when it comes to your chances of winning big. Look out for games with a high RTP to maximise your chances of a win. Another design feature that differs from one game to the next is the variance (sometimes called volatility) of the slot. A high variance game pays out rarely, but when it does it pays larger amounts. Low variance games do the opposite, paying out small amounts on a regular basis. Make sure to choose the type of slot game that you prefer. Not every progressive jackpot is the same, and whether they are linked to other games or not affects the potential size of the jackpot. Stand Alone progressive jackpot slots are not connected to any other games, in the same casino. Neither are they connected with the same game on another casino, meaning that only the contributions of players from one casino playing that single game will contribute to the jackpot. Clearly this means that such jackpots will be much smaller. A custom game like Paf Casino’s ‘Cash and Carry’ jackpot slot is an example of this. Linked jackpots are an upgrade on Stand Alone games, certainly in terms of the jackpots on offer. In this scenario you might have a number of games in the same casino which are linked to one another. This means that whenever a player spins the reels on any one of these linked games, the jackpot increases on all of them, as no matter which game you play you are shooting for the same top jackpot prize. 888 Casino has a number of in-house games on its site which are not available on other casinos and which are linked by a common jackpot. The largest of all progressive jackpots are those which are linked across a network. 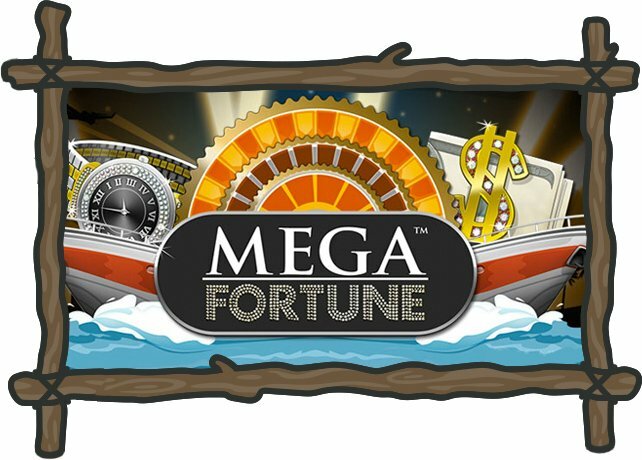 These are games like Mega Fortune which are available on multiple different casinos, but where everybody is playing for the same jackpot amount. No matter which casino you play at, you stand a chance of winning the same jackpot prize. With so many players at different casinos adding to the same jackpot, that top prize can grow to enormous sizes. This safari-themed progressive game was released in 2006, so the graphics aren’t at the level of some of the newer games, but the potentially life changing progressive jackpots do mean this is still one of the most popular games around. 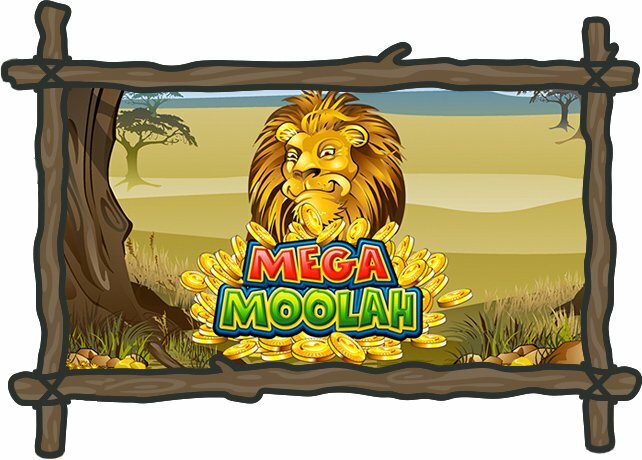 With at least a £1 million jackpot at all times that often reaches several million, Mega Moolah is one of the most consistently high jackpot games around. Simply match three or more symbols to start winning money, although do k,eep an eye on your preferred bet amount, as the game starts at the highest wager by default. The important elements of this game are the bonus game and free spins, where you can win 15 free spins and a 3x multiplier, along with the Mega Moolah Jackpot, which is where you play for the big prizes. This means that every spin has an added layer of excitement, although to boost your chances of revealing the jackpot game you should play for the maximum bet of £6.25 per spin. Apart from the Mega jackpot there are three lower-tier jackpot prizes to aim for too, with minimum jackpots of £10, £100 and £10,000. Mega fortune is another classic progressive jackpot game that has been popular for years. Released in 2009, mega Fortune offers a high return rate and huge jackpots, with an average jackpot of over £3 million. Mega Fortune has been responsible for some of the biggest online slot wins in history, which is why it remains so popular to this day. To unlock the jackpot game, you must collect at least three bonus wheel symbols on the same active payline. This takes you to a new screen where you play the wheel of fortune to determine your fate. There are three different within each other, and you must try to find your way to the centre of the reel to unlock the Major jackpot. The outermost layer of the Mega Fortune Jackpot Wheel only offers coin wins or arrows leading to the next layer. This second layer is home to larger coin wins plus two chances at the smallest ‘Rapid’ jackpot and four more arrows leading to layer three. Here you have one shot at the secondary Major Jackpot and one arrow which will take you to the centre of the wheel and that massive Mega Fortune jackpot win. The great thing about Mega fortune is the frequency of payouts. You don’t need to win the jackpot every time, and the smaller payouts make it affordable to play for a while and test your skills. 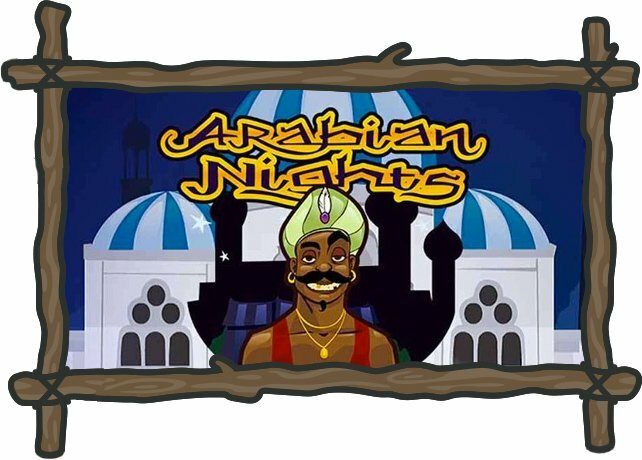 Arabian Nights is one of the oldest jackpot games to still retain its popularity and is another famous name from the NetEnt collection. This game borrows from the collected works of Middle Eastern folk tales ‘One Thousand and One Nights’, with an emphasis on familiar texts such as Aladdin. As we have already gone through, there are many different ways to activate the jackpot rounds in progressive slot games. However, Arabian Nights keeps things nice and simple, requiring the player to get five Wilds on an active payline. Of course, this is easier said than done and is complicated by the fact that there are only 10 paylines. Although Arabian Nights is basically a very simple game, it has paid out a lot of money over the course of its history. The record payout to date stands at a very impressive €8 million, but then records are made to be broken! 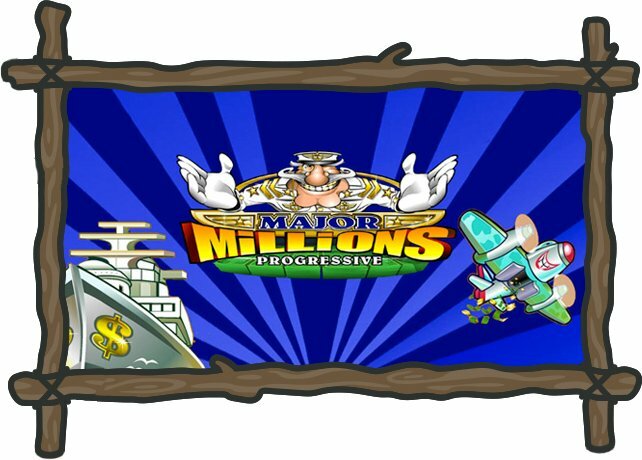 Major Millions is what you will be hoping to win from this slot, but it is also the name of the military character that serves as the main character on this slot. This is one of Microgaming’s big Jackpot games, and it was released for the first time all the way back in 2002. Most casinos still featuring the game these days will offer the updated 2009 version – which makes it a little more modern but hardly a fresh newcomer! With Major Millions the more paylines that you choose to activate the more your stake must increase. With 20-cent bets, only one line is available, while all 15 lines in the game will only be active only with a maximum bet of £3. Quite steep for most slots, although there are plenty of players ready to take the gamble with such big prizes on offer. To improve your chances of winning the Major Millions jackpot you will need to use the maximum bet option. That’s because the jackpot can only be won on the 15th payline when the player succeeds in getting five consecutive Wilds. On other paylines, the same combination is still a big winner but it’s not going to pay out those life-changing jackpot sums. 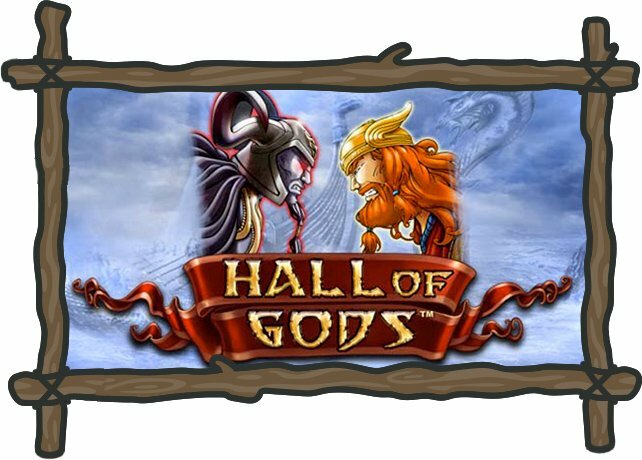 Our list of the top five progressive jackpot slots is completed by the awesome Hall of Gods. This is a relative newcomer, having been released in 2012, and apart from offering huge jackpots and entertaining game play it happens to be one of the Casino Gorilla’s favourites too. There are three jackpots to play for in this game – Mini, Midi and Major – and you will need to capture three Thor Hammer symbols on screen to activate the jackpot game. If you are lucky enough to find those three hammer symbols then you will be taken to a new screen. Here you use the hammer to smash the 15 shields in front of you, one by one. As soon as three of the same coin amounts or jackpots have been revealed, then you will win that prize. 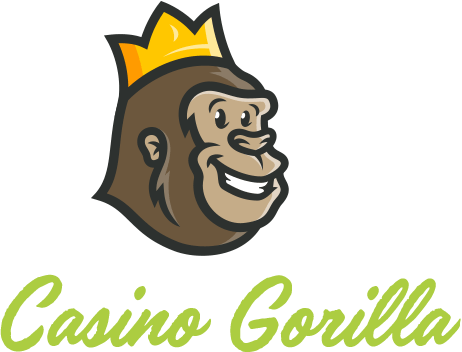 The Casino Gorilla knows a whole lot about the casino world, but even he can’t give you a guaranteed way to win a progressive jackpot. If he could, he would probably be laid out on a hammock right now somewhere the sun always shines. What he can do is give you some pointers as to how to choose which progressive jackpot game you should play. After that, you will just need to spin those reels and hope that the Spin Gods are smiling in your direction. Check around to see which progressive jackpot game is currently offering the biggest jackpots. If a jackpot has just been hit then the prize fund reverts to the minimum jackpot amount, so it is always worth searching out the biggest jackpots around. They say that biggest doesn’t always mean best, but that’s probably not the case when you are talking about progressive jackpots! Before you start playing, figure out exactly how the jackpot can be won, as this varies according to the game in question. Sometimes the jackpot is randomly triggered, other times you will need to unlock it by finding symbols on the reels. It is also very important to know whether or not you will need to max bet in order to trigger the jackpot. Some games will make a jackpot more likely if you are betting the maximum amount per spin, others will only trigger a jackpot for max bettors, and on other games this has no impact. Depending on where you live, you may or may not be liable for tax on any online slots winnings, and in many countries, gambling sites are strictly banned. Online gambling is legal in most of Europe, and any winnings are tax free. There are, however, some countries within the EU which have strict licensing laws that make it difficult for players to access the majority of sites. Players from Hungary, for example, find it hard to find a legitimate online casino due to the strict regulations concerning gambling. Online gambling in Poland is almost completely outlawed, and players can face prosecution. Cyprus is another European country where online gambling is mostly illegal, with the exception of sports betting. In the USA, gambling laws vary from state to state, with some enjoying free access to online slots sites, while others completely block most of them. Whilst people don’t tend to get prosecuted for playing online slots in states where they aren’t allowed, it can cause inconvenience for players who travel a lot for work and play slots to pass the time in their hotel rooms in the evening. A way around this is to use a VPN with plenty of servers in states where gambling is allowed, such as New Jersey. In Australia, sports betting and lottery are legal, but online casinos were banned in 2016. Be sure to check the local laws of the country you are in before playing, and make sure you find out whether you need to declare your winnings and pay tax. Remember: when it comes to taxation, your country of residence is the important factor, not your country of birth. If you doubt the chances of ever getting rich from online progressive jackpot slots, think again. Whilst the chances of winning £millions is admittedly very low, it does happen, and one fortunate spin can be all it takes to win a life changing amount of money. The world record for an online slot game jackpot payout was set in October 2015, when a young man from the UK had a day he’ll never forget. The 26-year-old soldier was playing the above-mentioned Mega Moolah slot from Microgaming when he won the incredible sum of £13,209,300. Jon Heywood was betting just 25p per spin when he won, and he planned to put some of the money towards medical treatment for his dad who was waiting for heart and lung transplants. Due to the exchange rates at the time of Jon’s win, he just pipped the previous record holder to the number one spot. That record was set in 2013 when a Finnish player placed a 25c bet on Mega Fortune and managed to win an incredible €17,861,800. In fact, today’s exchange rates would give that anonymous winner from Finland the top-spot back, as his win is worth more than £15.5M now. It’s back to Scandinavia again for our third progressive jackpot winner, as a sleepless night led one Norwegian man to try his luck at Betsson Casino. We are betting that he didn’t get much sleep after a spin on the Mega Fortune game earned him a fortune of €11,736,375 (£10.4M). Dozens of millionaires are created every year from online progressive slot games. Regardless of which casino you are playing at or from which country, you stand as good a shot as anybody else as hitting one of those massive jackpots.